After naming my business hookabee, I knew I needed to make a bee sooner rather than later, and here he is! I had so much fun making Bobby, and now he is my company mascot! If you follow me on facebook, google+, or twitter, you will have already seen that I have incorporated him into all my logos and banners. I just couldn’t wait until he was officially released! 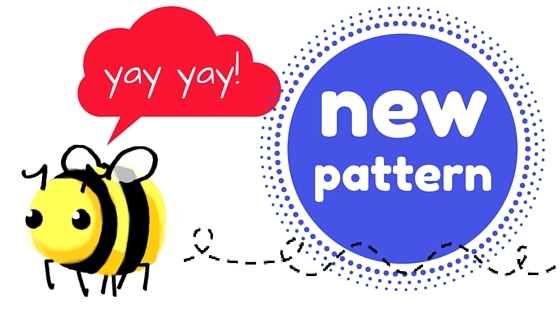 While I have graded the pattern as intermediate, that is simply because of the the colour changes involved, otherwise he is an easy pattern to work from. In fact, he would be a great pattern to practice your colour changes with! You can purchase the pattern HERE. I hope you enjoy crocheting him as much as I enjoyed making the pattern. Can’t wait to see all the bees on the hookabee ravelry group page soon! So cute, Meg!! Love it. Maybe even my fave so far?!?! :O Gasp, I know.